Is there a better alternative to pdf-FormServer? Is pdf-FormServer really the best app in Word Processing category? Will pdf-FormServer work good on macOS 10.13.4? 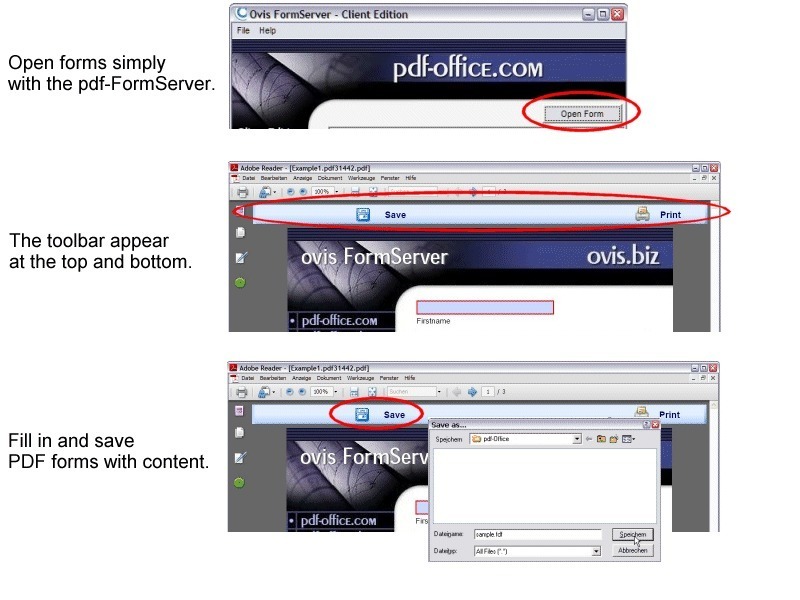 pdf-FormServer allows you to edit fields of PDF documents that have already been created and saved. Just open a PDF file and add a save capability. pdf-FormServer will then manage all input data so that they can be saved, if the user so wishes. The best thing about it is that the user won't be disturbed when working on his form, because the pdf-FormServer works unnoticed in the background. Individual toolbars that allow companies to include customised toolbars depending on the PDF form involved, thus making process control easier. pdf-FormServer needs a rating. Be the first to rate this app and get the discussion started! Save the data that you enter into a PDF form, fill it in offline. Send the form data as an e-mail attachment. Save form data to a separate FDF, PDF or XFDF file Import form data from a FDF, XFDF or XML file. Silent Mode to work unnoticed in background. Mac OSX users: Please use Adobe Reader 6.0 or later stand alone - not as Web browser plugin. Pay attention that Mac PDF preview cannot show PDF form fields. For this purpose, please also use Reader.